It was recently revealed, pretty unexpectedly, that Amazon is currently in talks with Warner Bros. and the J.R.R. Tolkien estate for a possible Lord of the Rings TV series. That's raised a lot of questions from fans. Will some of the actors from the Peter Jackson movies be included? How is this new adaptation going to approach it differently? 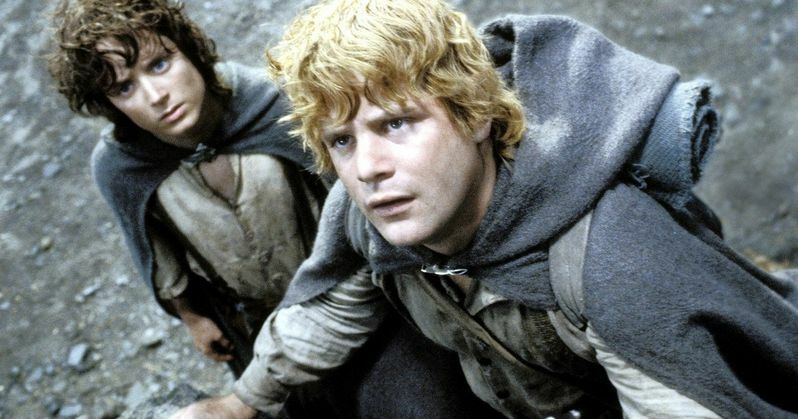 While many of those questions still hang in the air, Sean Astin, who plays Samwise Gamgee in the original Lord of the Rings movie trilogy, has weighed in on the proposed TV series. The actor has been making the press rounds for Stranger Things season 2 and was asked about the Lord of the Rings TV series. While it caught many of us off guard, Sean Astin reveals that he always figured that Peter Jackson's classic movies would be readapted at some point. Here's what he had to say about it. "I saw that the other day, and I thought that was intriguing. I've been saying for 15 years that maybe like 12 years after Lord of the Rings came out, that it would get remade. And people always said, 'Oh no, it'll never get remade! It's a classic! They could never top it!' And I'm like, 'No, it'll get remade. It's a massive story! The characters are so beloved.'" No doubt, it seems as though nothing is sacred in Hollywood these days. Virtually everything seems to be getting remade and, even though Peter Jackson's Lord of the Rings movies are considered to be among the best movies ever made, it looks like Amazon may take a swing at venturing to Middle Earth on the small screen. As for whether or not Sean Astin would consider reprising his role for the TV series? It turns out, he hadn't even really considered that as a possibility. Though, he wouldn't totally rule it out. "I'm carrying the Samwise banner for the Peter Jackson version of Lord of the Rings. When I saw the Amazon thing, that didn't even occur to me. I just sort of thought, 'What would it be like to see the next Sam there?' I think it's an intriguing idea [but] the devil's in the details. How would they do it? How? Who?" Currently, Amazon and Warner Bros. haven't actually made a deal for this proposed Lord of the Rings TV series yet. So it may not even end up happening, but Amazon CEO Jeff Bezos is directly involved in the negotiations, so they are taking this very seriously. We'll have to wait and see if it ultimately comes to fruition, but Sean Astin's comments to Entertainment Weekly make it clear that he has no hard feelings about a new adaptation. We'll be sure to keep you up to date as more information on the possible Lord of the Rings TV series is made available.